It doesn’t look like we’ll be getting a Nike LeBron and Kyrie Championship Pack this year, but what can you do when the 73 win Warriors go ahead and add Kevin Durant to their roster? 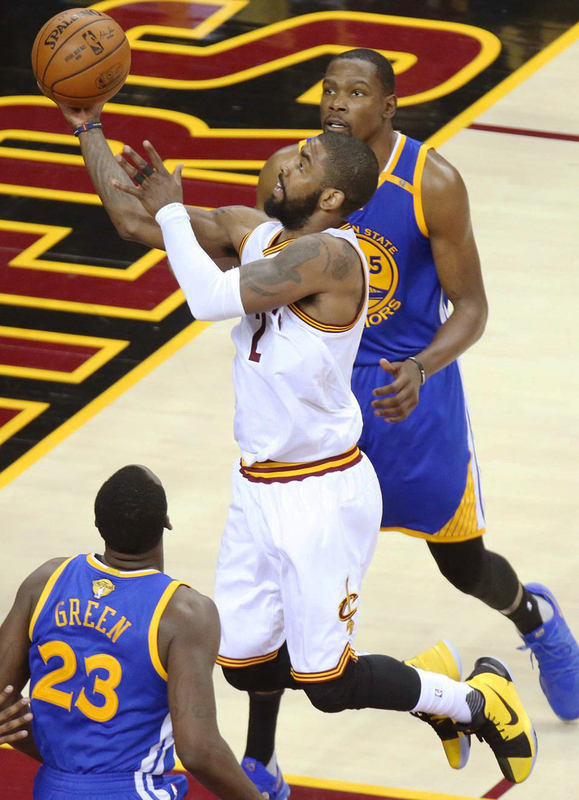 Kyrie did manage to have a bounce-back game throughout Game 3 in Cleveland, as his incredible third quarter propelled the Cavaliers to stay in the game right up until Kevin Durant took over late in the fourth. 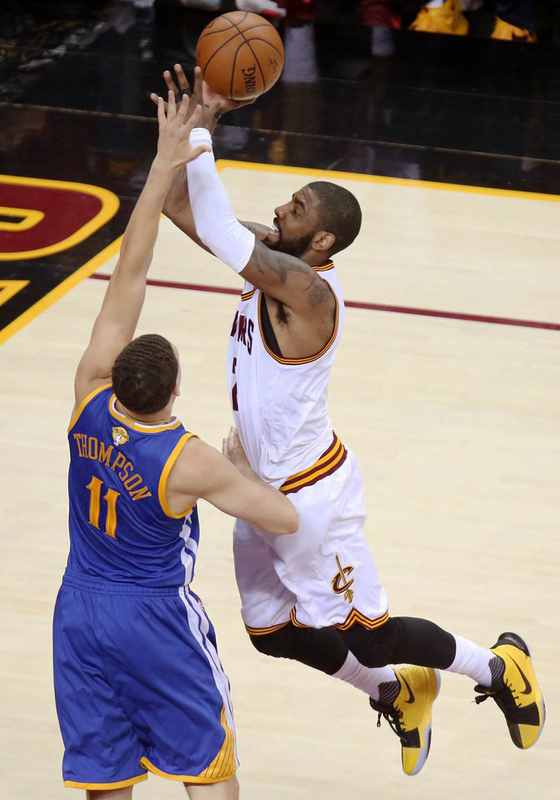 Kyrie put up 38 points without a single three-pointer falling in an incredible array of acrobatic layups. 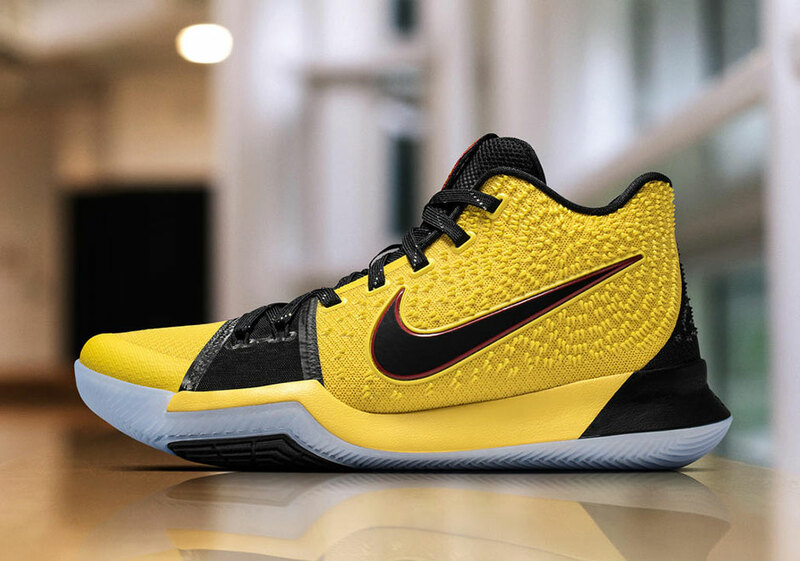 Nike Basketball outfitted Kyrie in a head-turning Kyrie 3 PE too. There was no metallic gold hinting at the Larry O’Brien trophy as the pair instead was graced with a 50/50 yellow and black split. 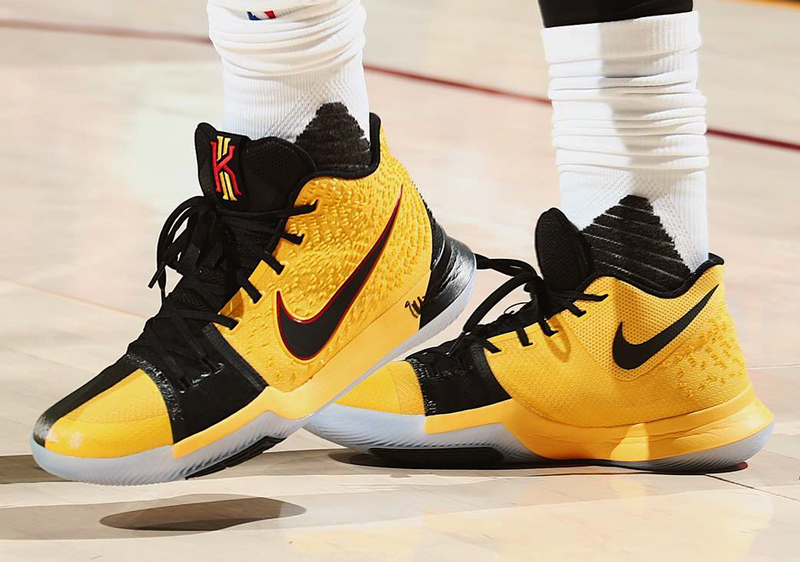 The left pair featured yellow on the outside with black on the medial side, while the right pair switched things up to make the Game 3 PE appear either all black or all yellow depending on the angle you saw it at. 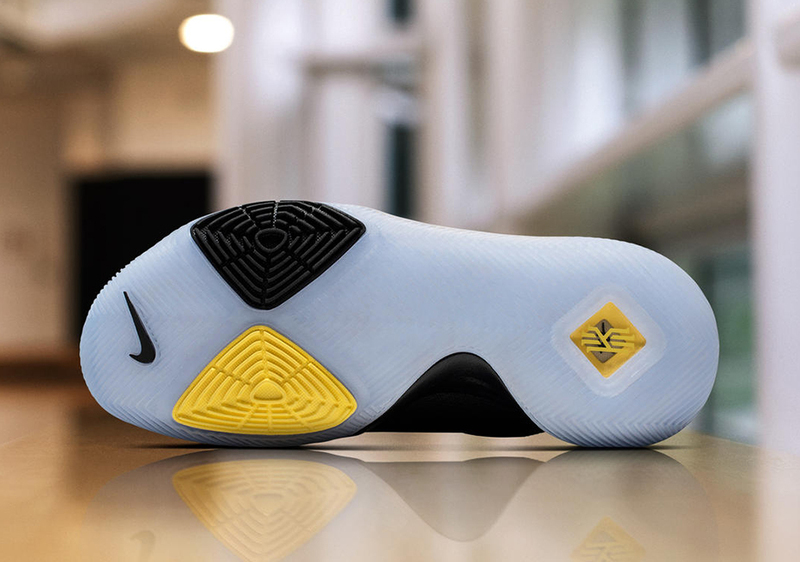 Touches of red highlighted the Swoosh outline and Kyrie signature logo. 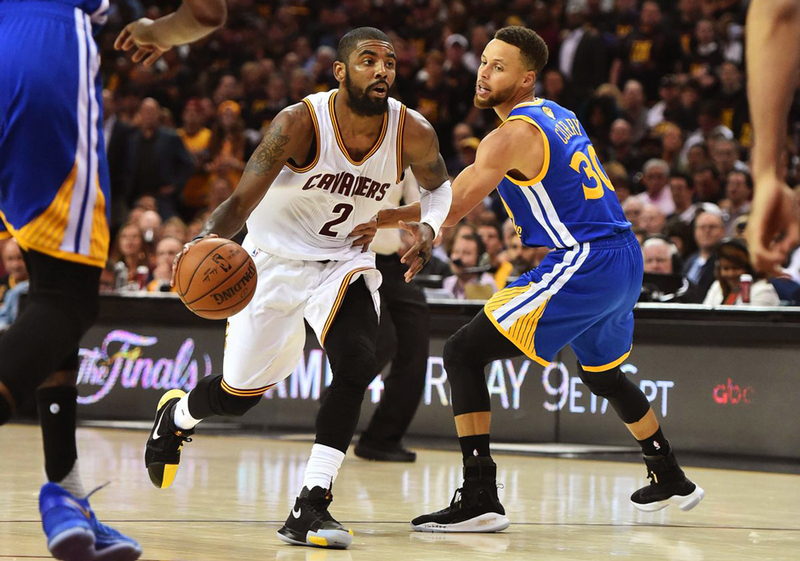 Do you think the Cavs will be able to make Game 4 competitive or are the Warriors going to be able to complete the sweep on Friday night? Stay tuned.